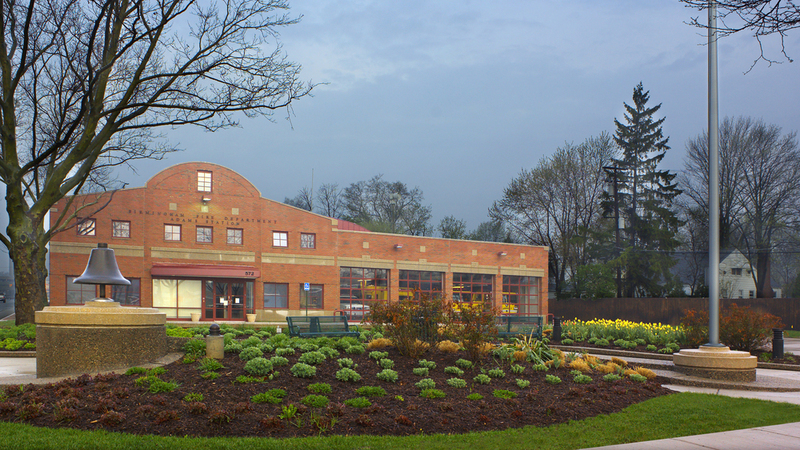 This small site was transformed into a sophisticated urban space that serves as a gateway to Birmingham’s central business district, a foreground to its fire station, a memorial to the community's fallen firefighters and a display for the original fire station bell. The entire plaza was designed as sculpture. 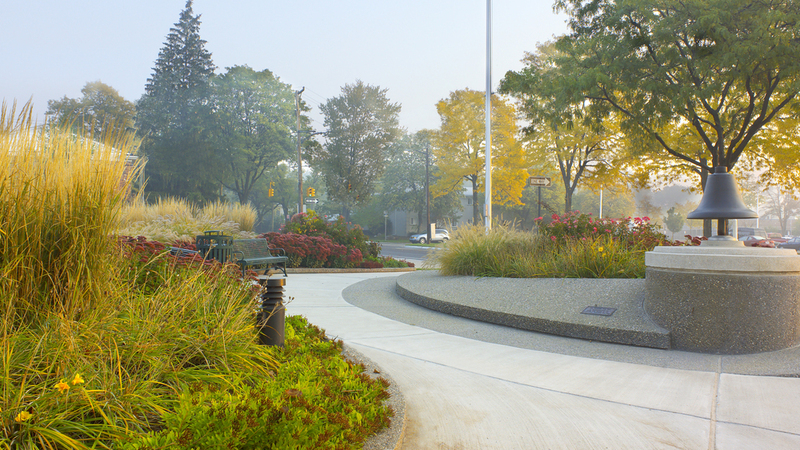 It’s ornamental pavement and cast-in-place garden wall take on graceful and free flowing lines that transition into the circular pedestals for the flag and historic bell. 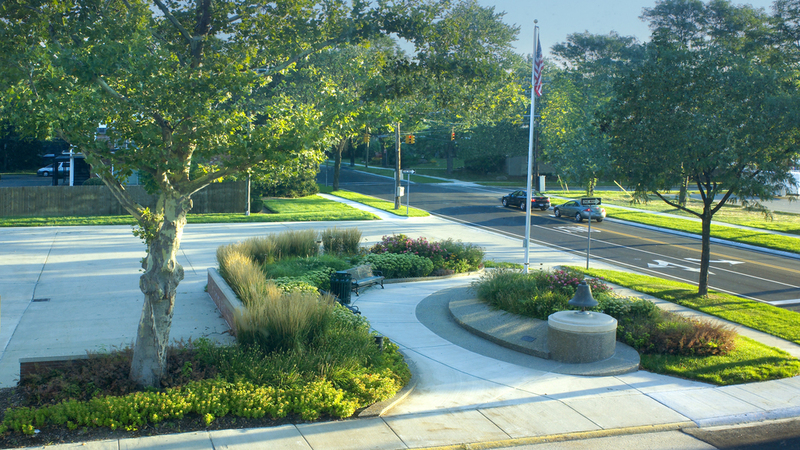 Mass plantings of perennials and ornamental grasses provide a textural counterpoint and provide interest with each season of the year.